Today, the city invited flea market operators to submit proposals to operate a flea market on the 300 block of Seventh Street for six months at $3,300 a month. The deadline for submission of responses is 3:00pm, Saturday, February 18. 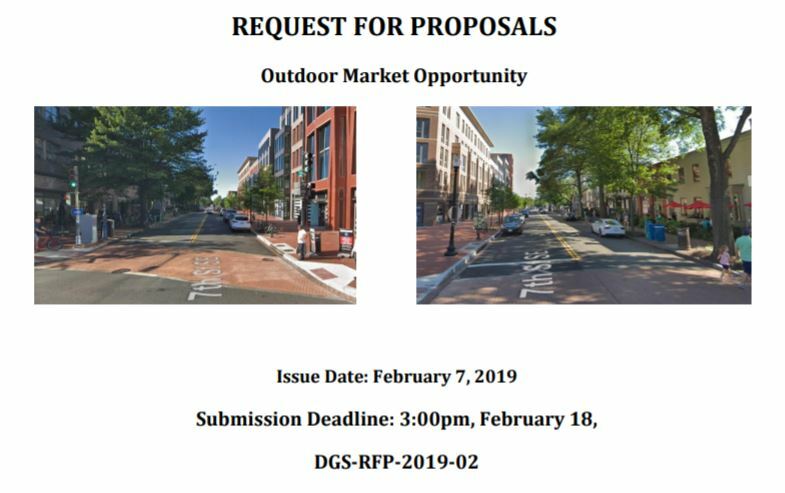 DC Department of General Services (DGS) issued a Request for Proposals (RFP) for the license for an outdoor Saturday market. The RFP specifies that the “sole use of the shall be as an Outdoor Market with locally made arts and crafts, antiques and imported handcrafts from other countries”. Further, the language states that there “shall be a maximum of three food vendors, with local competition considered when determining type and placement of food vendors”. A vendor deemed to best meet these and other criteria listed in the RFP will be awarded the license. On January 24th, Barry Margeson, Eastern Market Manager, announced that the DGS license allowing the Saturday flea market to occupy the 300 block of 7th Street on Saturdays had expired on December 1, 2018 and “is terminated.” Carol Wright, operator of the Saturday Flea Market for some 15 years, had not signed a contract extension offered in December by DGS which would have allowed her to operate until June. 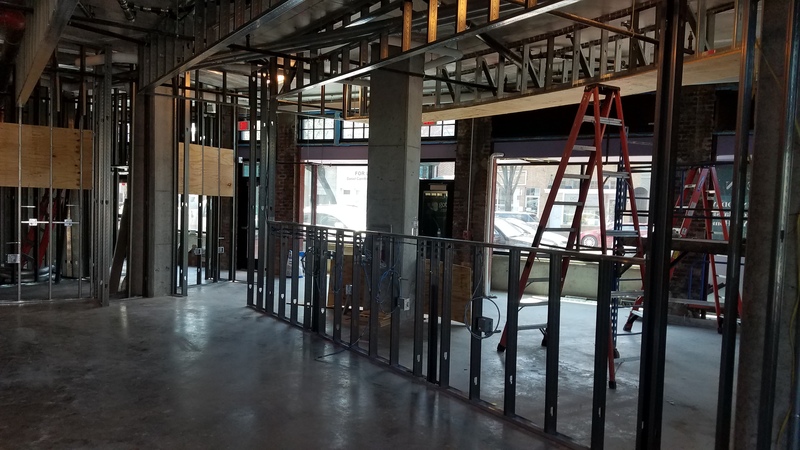 That prompted DGS to “terminate” the contract and announce that it would issue a call for a new operator for the space. 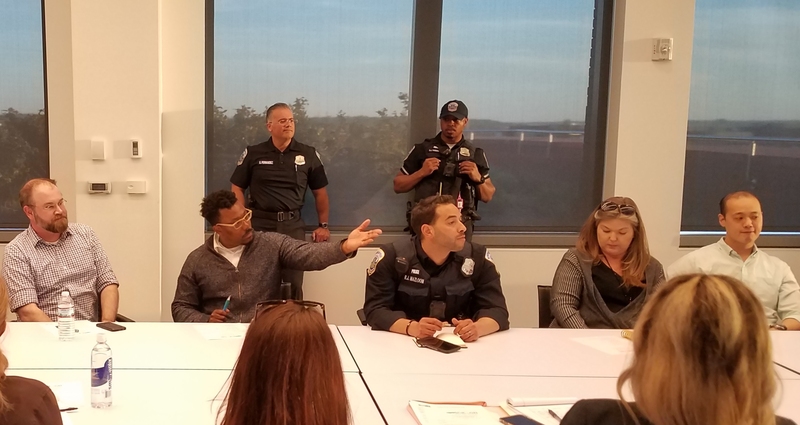 Issuing the new RFP is seemingly at odds with the Eastern Market Community Advisory Committee’s responsibility to review RFP’s issued concerning the Market or its associated vending spaces. Mike Berman, the Sunday flea market operator, has said he thinks he should have been offered the right of first refusal. 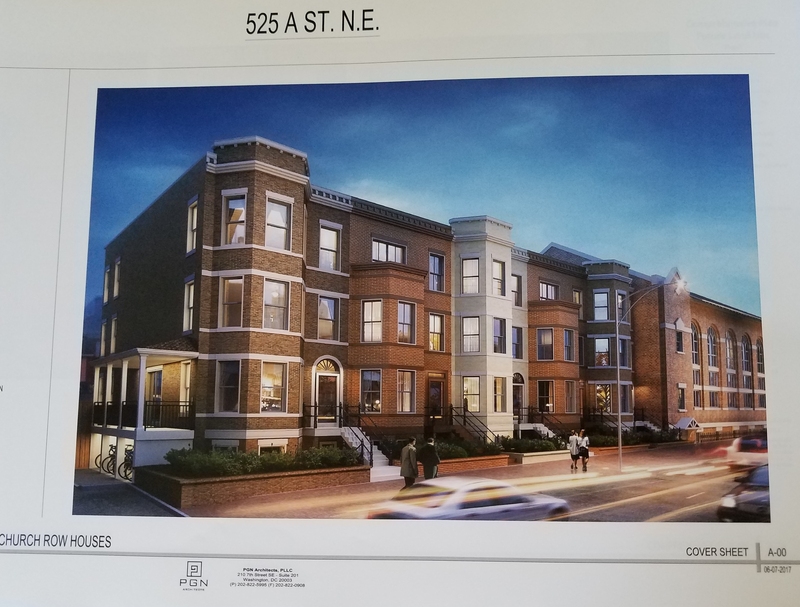 Wright responded to the Department of General Services’ (DGS) termination of her license to operate on 7th Street saying, that she had “no intention, whatsoever, of giving up or terminating the license” for use of the 300 block of 7th Street. Two questions: Why is the new contract for such a short period of time? And has the new RFP increased the price from that of the previous contract? If yes, by how much? Third question — Is what seems apparent true — that there is a hidden animas against the previous contract holder who, for whatever reason, failed to renew?